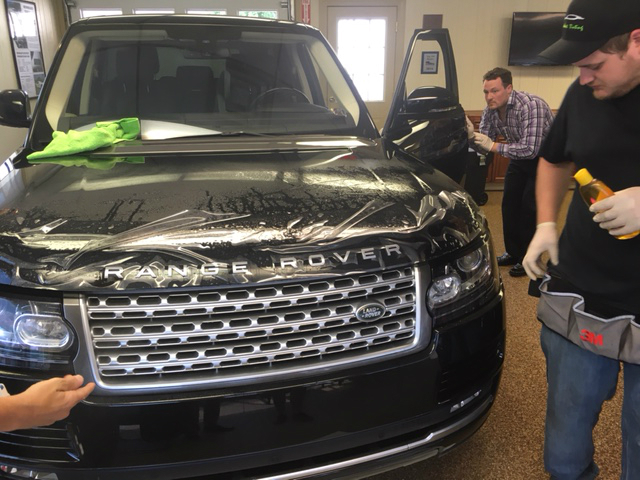 Last week, our friends at Blackout Tinting came out to Choice Auto Sales to demonstrate their hood protection system. 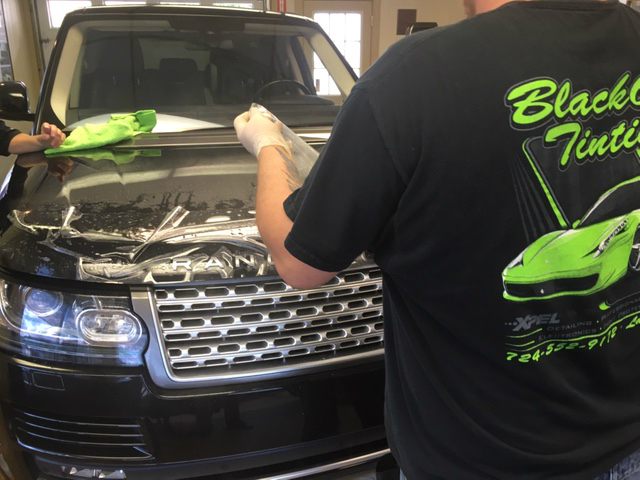 It's an applied film that protects against rock chips, weather and more! Goes on clear and doesn't fade. 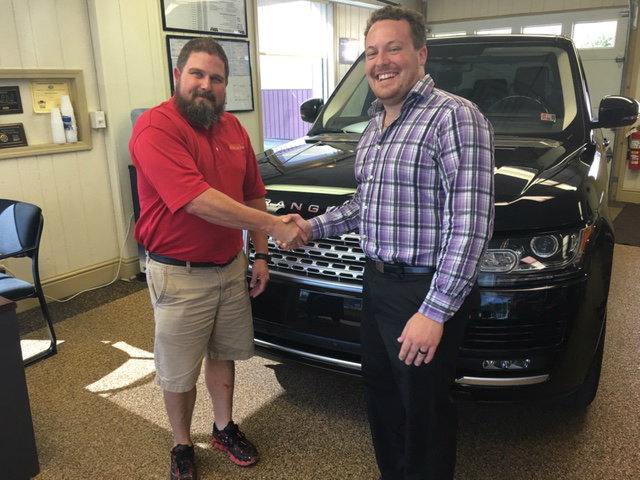 This protection was put on our 2016 Land Rover Range Rover diesel luxury suv. See photos for more details. 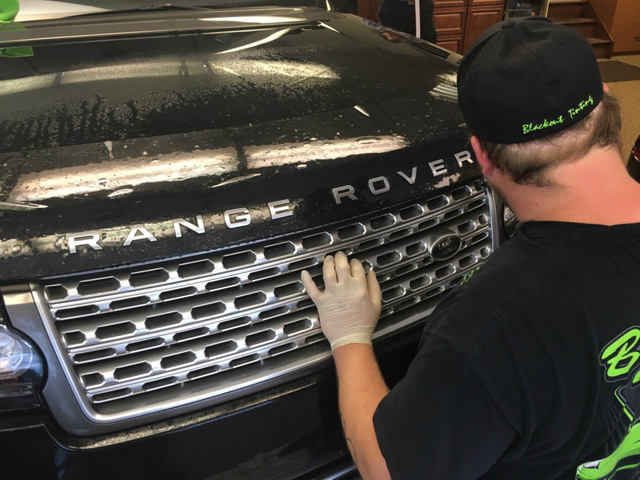 For more information on this application or for your own vehicle, call us at 724-387-1512 or Blackout Tinting at 724-552-9172.